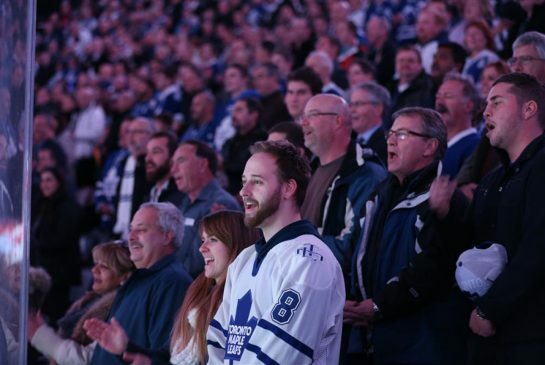 At the November 18 match-up between the Nashville Predators and the Toronto Maple Leafs, the mic gave out during the US National Anthem. What fans did next showed why hockey fans are the greatest. Watch the video below of this great hockey moment. This was an awesome moment for sure. It is nice to see hockey fans show that borders mean nothing in this great game we all love.